A digital collage for the first project. This collage brings emphasis to the curiosity and mystery in children’s minds. Collage created by Tori Bredy, September 2018. For my collage, I chose to create a landscape and make it realistic using Photoshop. I am quite familiar with Photoshop so I wanted to challenge myself by creating a collage that could be perceived as just one photograph. Prior to enrolling in DTC 201, I had done research and learned a lot about famous photographer Ansel Adams. Adams created amazing black and white photographs of landscapes which is where I got some inspiration from. When designing my collage, I wanted to curate a piece that was in black and white because I found it more helpful in creating a natural-like collage if the images are within the same color scheme. The imagery used in this collage comes from the Internet. I chose to use images from online instead of my own because I wanted to use variety of different landscape images. 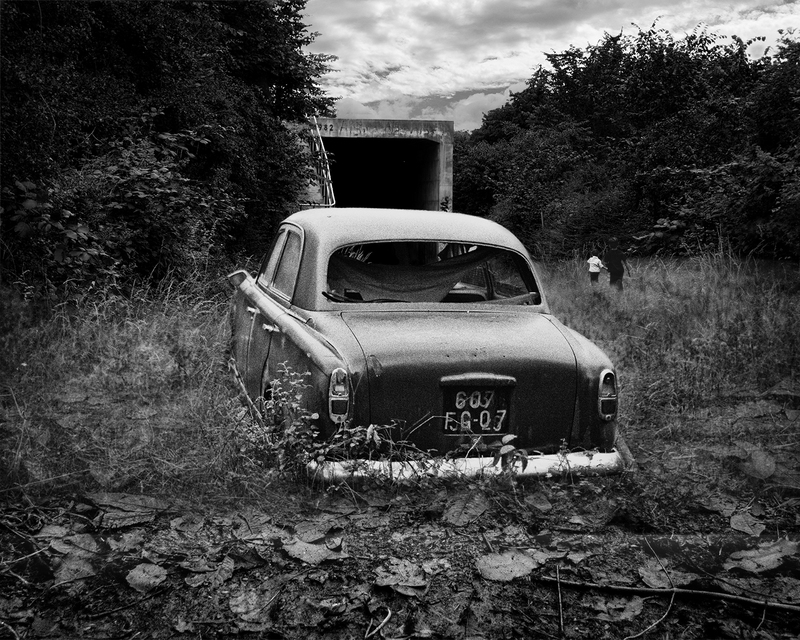 Elements of design used in my collage are organic form with the abandoned car and the two boys in the distance, color with the emphasis on black and white images, texture is seen on the car and the viewer can feel the rusty, grainy coating. For principles of design, there is proportion/scale with the location of the car and with the two boys in the distance, and there is balance with the location of the car being in the middle. All of the elements and principles of design are being used to understand the image as an abandoned car on some old railroad tracks. With the children in the background running, it brings the understanding of the image that the car is in a location where children run off to play in. My hope when viewers look at this collage is that my work is interpreted as what could be a real life image. I enjoy using my creativity to make pieces that can be interpreted as actual reality. This piece has meaning to me because I love the work done by Ansel Adams. Even though Adams didn’t use collages, I wanted to create a piece that was a real-life looking landscape. By adding the picture of the two little boys in the background, I hope it is interpreted how children have such an imagination and are curious explorers when they are able to roam around outside playing their make believe games. My goal is to share through this collage how youth, mystery and curiosity fall hand in hand. For this collage, I relied on using layer masks for most of my images, but for a couple, tried selecting and feathering the image to place into the main Photoshop document. I used the Hue/Saturation tool to make the car look more realistic and the same with the children and the curves tool. This work did not need to be done digitally since I gathered all of my images from the Internet. I could have printed off the images and manually cut and pasted them together but the digital aspect helped me make it as realistic as I could.